Our old friend John Donabie with Robbie, back in the day. Thank you for sharing these photos, John. Video clip from NBC: Robbie Robertson on the The Tonight Show starring Jimmy Fallon, talking about the new autobiography and the Last Waltz 40th anniversary. "The guitarist was speaking from a recording studio in Los Angeles, where he is finishing his score for Scorsese's film Silence, set in 16th-century Japan. It's due in New York and Los Angeles by Christmas, before opening wide next year. He's also beginning work on his first solo album since 2011's How to Become Clairvoyant"(!). Review from the New York Times: "Robbie Robertson of the Band Tells All in Testimony. " From Rolling Stone magazine: "Birth of the Band: Read Inside Story From Robbie Robertson's New Memoir"
Ken Shimamoto: "Back in the Basement with Bob"
The lineup includes Tom "Bones" Malone who is best known for his work with the Blues Brothers and Late Night with David Letterman. 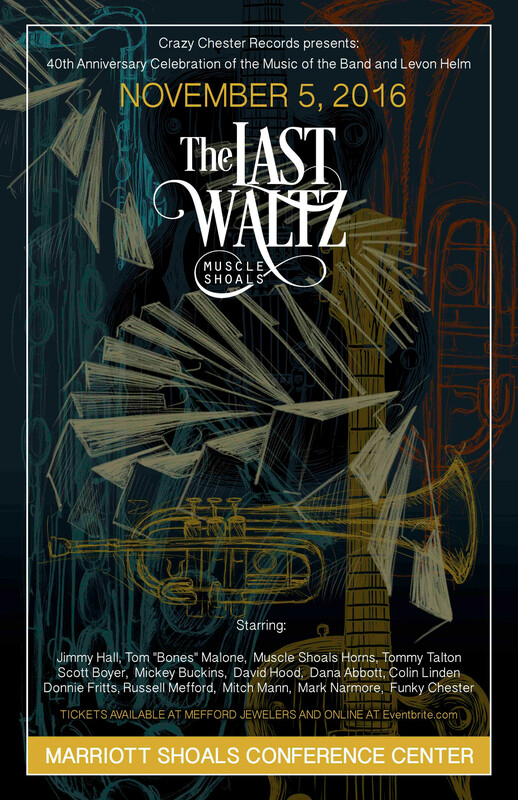 Malone was in the horn section of the original Last Waltz and will lead the Muscle Shoals Horns at the show. He'll bring the horn arrangements he wrote for the Band. Wet Willie's Jimmy Hall, who's currently touring Europe fronting Jeff Beck's band will be a featured performer along Tommy Talton, Scott Boyer, Donnie Fritts, Mickey Buckins, Russell Mefford, Mitch Mann, Mark Narmore, Dana Abbott, David Hood and various others. The house band includes bass player Paul Ossola who was a member of Levon Helm's band and can be heard on Helm's Grammy winning album Ramble At The Ryman. Here's an excerpt from Robbie Robertson's upcoming autobiography Testimony, published in Vanity Fair magazine. A companion CD to Robbie's autobiography Testimony will also be released in November 2016. This compilation "highlights some of the career highs from Robbie's career that he writes about in the book, including playing with The Hawks, The Band, Bob Dylan and his own solo work." 40th Anniversary Edition - Original soundtrack with newly remastered audio from the original master tapes on two CDs. 40th Anniversary Deluxe Edition - Complete audio from the concert, including rehearsals and outtakes, plus the film on Blu-Ray. 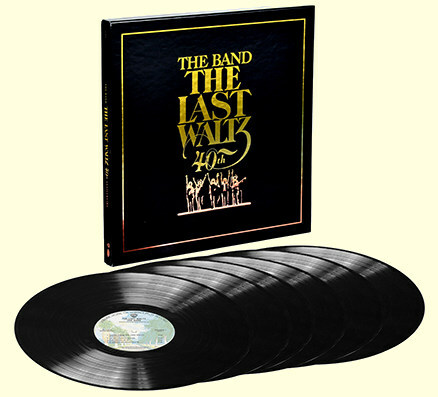 40th Anniversary Deluxe Edition Vinyl - Complete audio from the concert, including rehearsals and outtakes, pressed on 180-gram vinyl for the first time and presented in an ornate lift-top box. 300-page book, bound in red faux-leather with a full replication of Scorsese's shooting script, rare and previously unseen photos, set sketches, three foldout storyboards, a foreword by director Martin Scorsese, and an essay from screenwriter Mardik Martin. "For Your Weekend Listening Pleasure: 25 Years Ago Tonight, The Band Played Fast and Cool" -- article by Robert Wilonsky, published in the Dallas Observer in February 2012, including a link to a downloadable recording (91 minutes!) 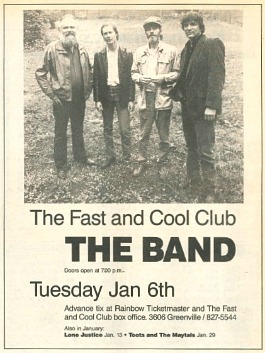 of The Band's concert at the Fast & Cool Club in Dallas, TX, January 6, 1987. Added 1971 photos of Robbie Robertson and Richard Manuel in Amsterdam. Contributed by Hilda Fernhout. Sharper and better version of a '70s photo of Garth Hudson behind the Lowrey organ. Thanks to photographer John Scheele for the contribution. "The Weight -- covers" -- article by Peter Viney, with scans of old ads and 45 singles. "Robbie Robertson on his best albums, from The Band to Dylan" -- September 2016 article from Uncut magazine. New book coming out in November: The Band FAQ -- All That's Left to Know About the Fathers of Americana, by musician and music writer Peter Aaron. From YouTube: Compilation of Bob Dylan and The Hawks 1966 concert footage! 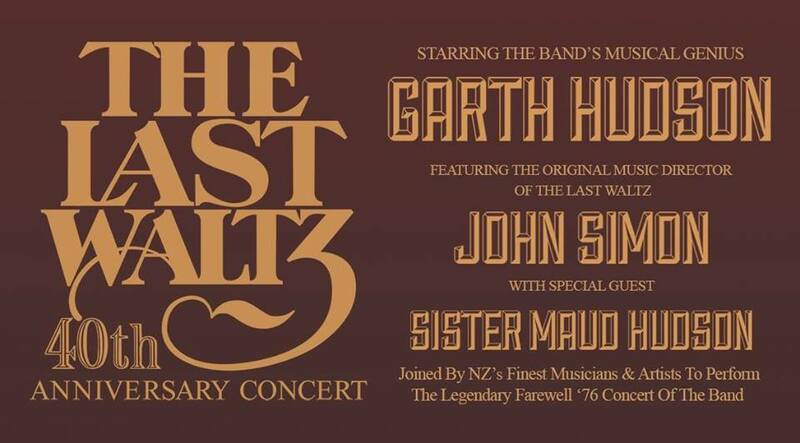 Garth Hudson and Sister Maud Hudson will be performing at the London Music Hall in London, Ontario, on November 12th! "The Writers Festival presents Elvis Costello and Robbie Robertson in Conversation". One of our major contributors has left us. May you rest in peace, Serge Daniloff. 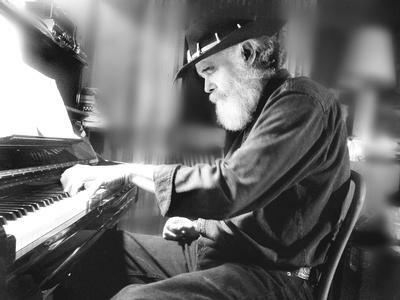 It's Garth Hudson's 79th birthday today! We send our best wishes to Garth and Sister Maud Hudson. Recommended Facebook page: Photography by John Scheele -- "original photography by John Scheele of The Band, Bob Dylan & friends from 1969 to 1976". Yesterday, Scheele posted a lovely, previously unseen, photo from the Stage Fright sessions, captioned "Levon working out his part for 'Daniel and the Sacred Harp' - Woodstock Playhouse (1970)". "Vinyl Reissue of The Band"
"Eric Andersen: Memory of the Future"
A TRIBUTE TO THE BAND, featuring: Khari McClelland + Rich Hope + Lydia Hol + Dustin Bental + Kalissa Landa and Ashley Grant- Evangeline + Kenton Lowen + Karina Morin + The Paperboys! All backed up by: Acadian Driftwood, featuring: Scott Smith, Eric Nielsen, Tom Landa, Darryl Havers and Liam MacDonald. Check out imperialvancouver.com for tickets and more info. "Proud Camden is delighted to present The Band Photographs 1968-1969, an exclusive collection of both iconic and never-before-seen photographs documenting the making of the group's first two albums, Music from Big Pink and The Band, through the lens of close friend and renowned photographer Elliott Landy." See the press release for more information about this lovely exhibition. Garth Hudson and Sister Maud Hudson will perform with legendary producer Hal Willner at The Stone in New York City on June 18, 2016! The official release date for Robbie Robertson's new autobiography Testimony: A Memoir is November 15, 2016. "Warren Haynes Announces Supergroup Tribute For The Last Waltz's 40th Anniversary"
According to Robbie Robertson's Facebook page, the new autobiography Testimony: A Memoir is in the final stages of edits. An official release date will soon be announced. The play Manuel, about The Band's singer and piano player Richard Manuel, will be performed at the Paul Davenport Theatre in London, Ontario from April 26th to May 1st, 2016. For tickets and more information, check out themanuelplay.com. 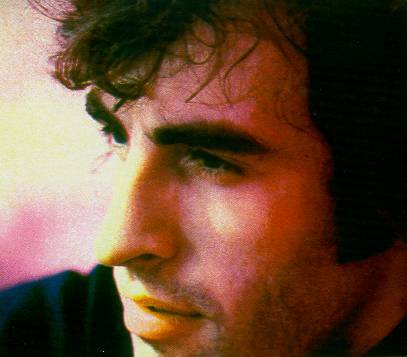 30 years ago, on March 4th 1986, we lost the great Richard Manuel. Too soon gone. The Basement Tapes Complete, with The Band and Bob Dylan, just won a Grammy in the category of Best Historical Album! The Levon & the Hawks box set still hasn't been abandoned and might be released this year, acording to this article from The Toronto Star about producer Jan Haust and engineer Peter Moore. Thanks to Harm Van Sleen for the info. Thanks to our old friend "Donald Joseph" for sending us the links. 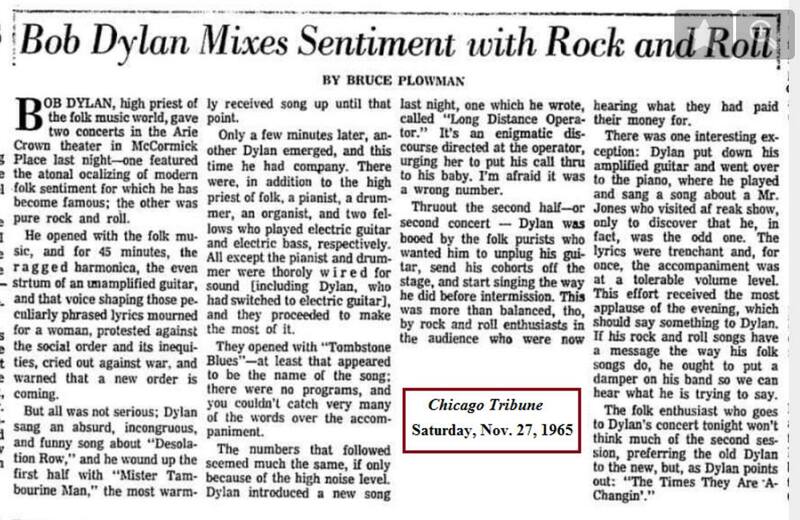 Pat Brennan scanned this article from the Chicago Tribune, November 1965: "Bob Dylan Mixes Sentiment with Rock and Roll"
"42 Newly Discovered Photos from The Last Waltz"
Happy belated birthday to the Hawk, Ronnie Hawkins, who turned 81 yesterday! Check out this color film(!) of Ronnie and the Hawks, including Levon Helm on drums from 1959/60. New interview from Rockcellar Magazine: "Robbie Robertson Recalls the Band's Hits, Legacy and Experiences"